There are many free Blog WordPress Themes that promise a lot of features and functionality, but not all free themes are created equal. Some may look beautiful but not be flexible enough to adjust to your needs, and some may have a bunch of features but lack good visuals. 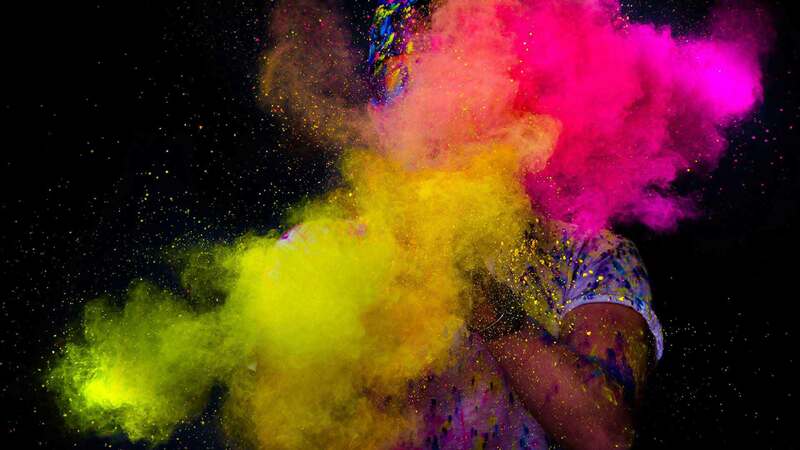 Sifting through these free blog themes can be a herculean task! 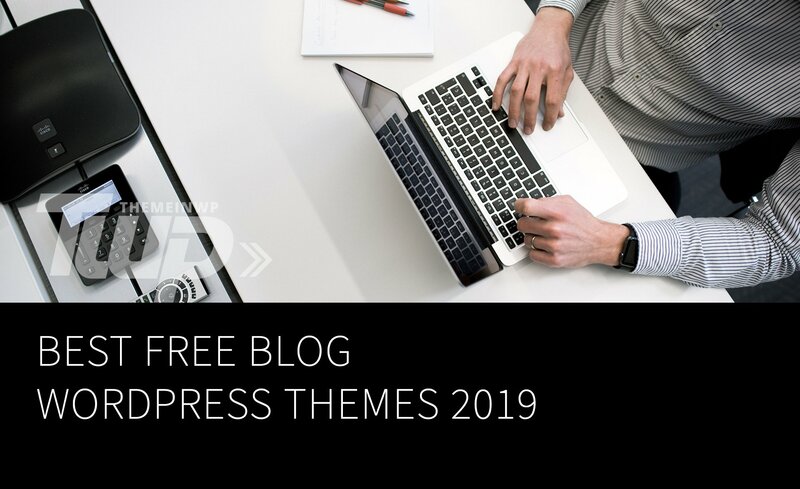 We’ve compiled some of the very best free blog themes, that boast not only good design layouts but also great functionality and flexibility, great support, and are regularly updated to address bugs and add new features. We think Jumla deserves a look if you want a free theme to help you build a fully-customized website that resonates with your audience. It is super flexible but still very easy to setup with live customizer support. It also features a minimalist design with focus on crisp typography and beautiful featured images. Jumla comes with header social menu, header search bar, custom background, custom header, and colors. If you want a simple-yet-beautiful layout for your blog, then you should select Jumla Free WordPress theme. 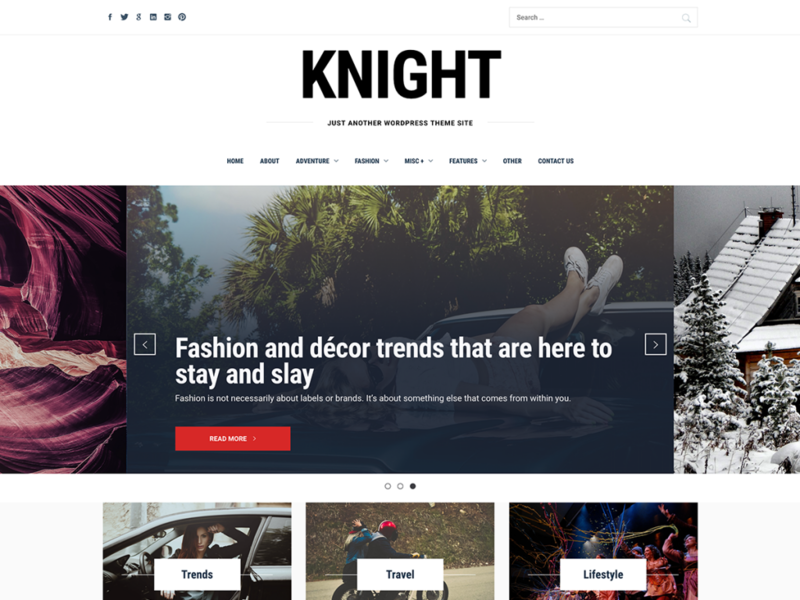 Knight is a premium-like free Gutenberg ready WordPress theme suitable for all kind of blog websites. It features a modern design with a large header on the homepage, mega-menu, featured slider, and then your most important content. It is WooCommerce ready and can be used to create beautiful online stores. All theme options are quite easy to follow and allow you to easily customize it to your own requirements. 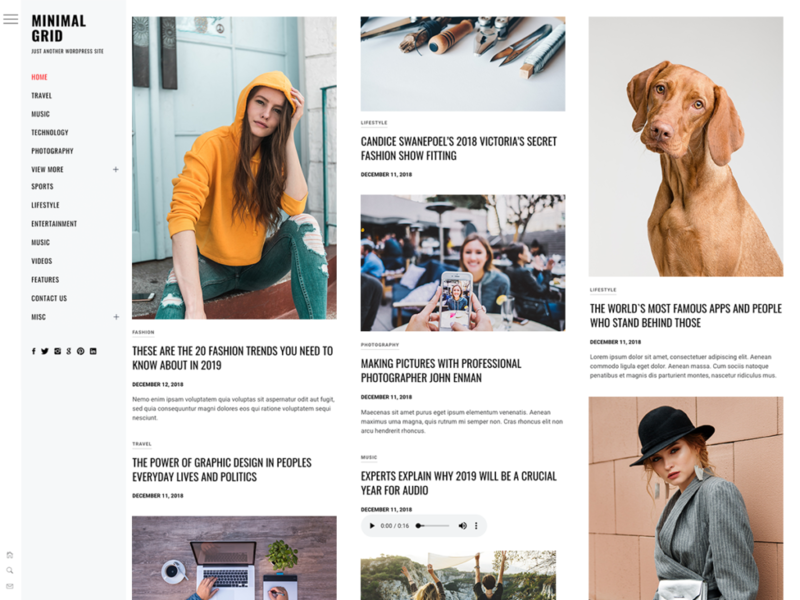 Minimal Grid is clean, simple, modern and elegant responsive free WordPress theme suitable for any type of news, magazine, entertainment or blog websites. With its clean masonry-layout post listing options and support for various post formats you can now experience freedom on the content you can use on your site to enrich the user experience. So, anyone looking for clean and elegant grid theme with infinite scroll function, this theme is eye caching in many ways. 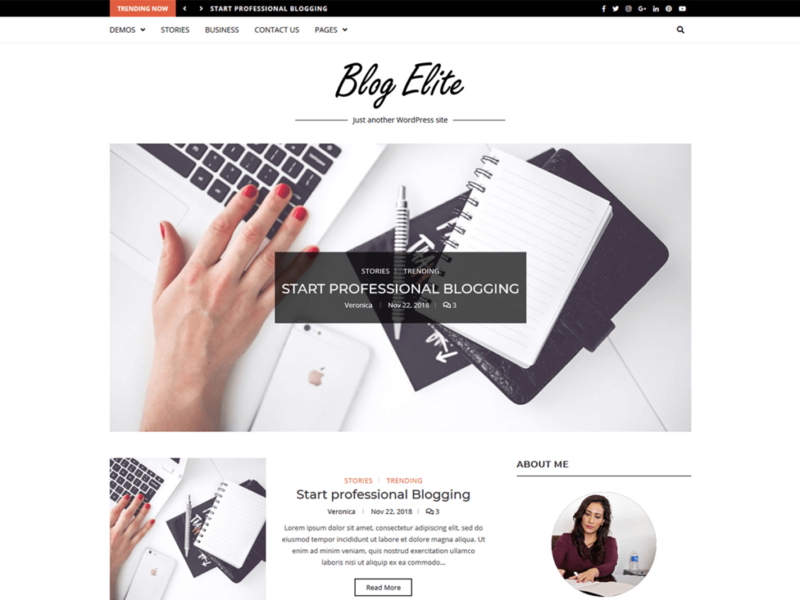 Blog Elite provides clean and feature rich options, which helps you to get your site running up quick and easily. By using the combination of different styles and options together you can create a clean site which primarily provides more focus to the content. 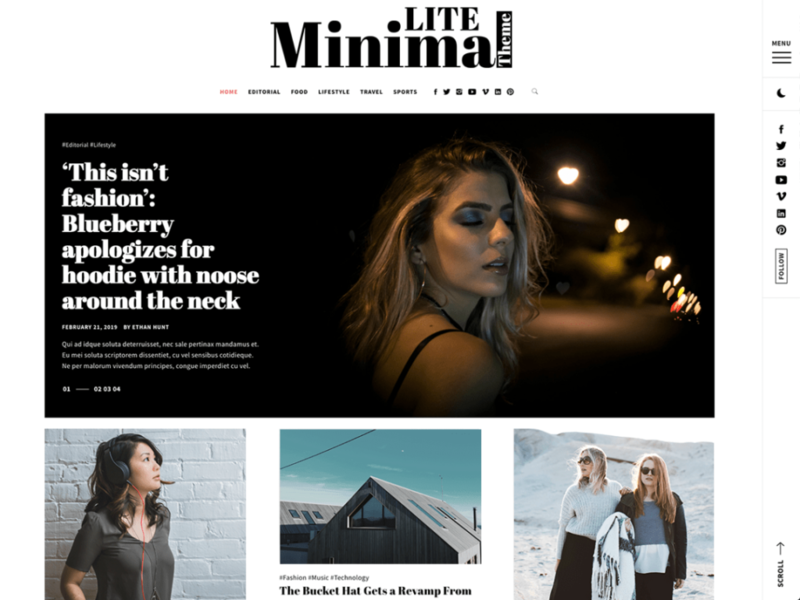 Minimal Lite is a stunning, fully responsive, WordPress blogging theme suitable for any kind of blog. Without any coding knowledge, Minimal Lite’s design helps you stand out from the crowd and create an experience that your readers will love and talk about. With a flexible home page you have the chance to easily showcase appealing content with ease. Minimal Lite gives you extra feature for your user/reader to Switch the colour mode on single click i.e reading in dark or light version on single click so you can keep momentum and maintain the attention of your readers. 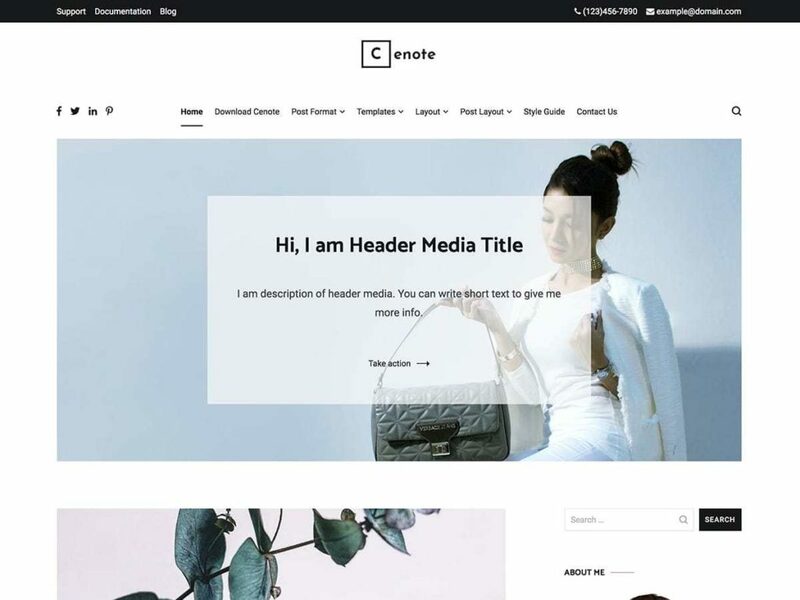 Cenote is a simple free blog theme for WordPress. It features a minimalist design with focus on crisp typography and beautiful featured images. It is easy to setup and has a nice set of features that make your site stand out. 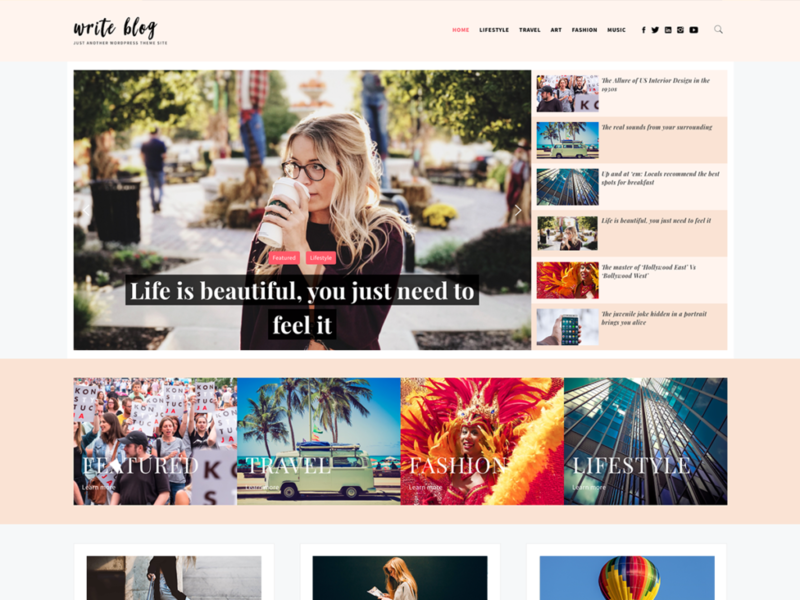 Write Blog is a modern WordPress theme suitable for lifestyle, travel, food, fashion, photography, and artistry blogs. It has crisp typography and beautiful image display options. Write Blog comes with multiple layout choices, sidebars, and more. The theme includes custom widgets, custom headers, background image, featured content sliders, and font and color options. Almighty is a Modern clean WordPress Blog free theme for all the Bloggers out there who strive towards minimalism and clean lines. It’s retina ready and fully responsive design will look amazing, and work fluently, on all devices (mobile, tablet, and desktop). Almighty features multiple blog layouts to choose from and tons of options for customizing the theme and making it your own. And there you go — 10+ fantastic and free WordPress themes! The best WordPress theme for your website needn’t cost you an arm and a leg. In fact, free themes can prove just as effective as premium options, and often provide you with most or all of the features you’ll need. Hopefully, with this huge list of amazing WordPress free blog themes, we hope you found the perfect pick for you. Once you pick the right WordPress theme, the remaining part will be signing up with a quality web host, starting a blog and pumping out some quality content. Thank you for visiting ThemeinWP and reading this article! We highly appreciate it! Now you might want to learn how to make a website using our free WordPress themes. 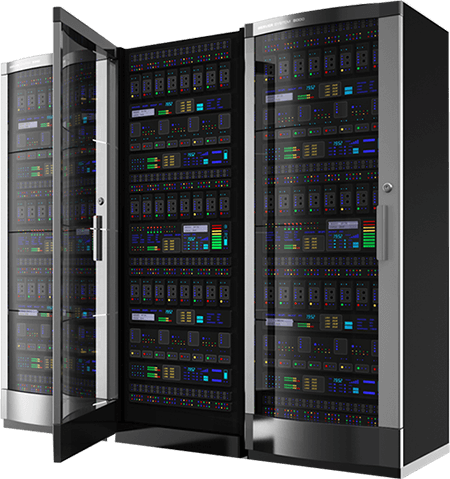 ThemeinWP WordPress Themes + Our hosting recommendation. To help you make the right decision, we have reviewed and tested the top WordPress hosting companies including speed tests, uptime tests, and reliability test.